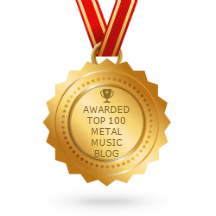 The wildly-progressive German metal quartet OBSCURA has announced their first ever demo collection, entitled ‘Illegimitation’ and set to be released independently by the band this March. The collection will include ten never-before-heard tracks, including the band’s earliest recordings from 2003, unreleased songs from the Cosmogenesis sessions of 2006, and brand new cover songs with the newest line-up from 2011. Sticking to their reputation of being one of the genre’s most forward-thinking bands, OBSCURA have decided to release a special, limited-time pre-order for ‘Illegimitation’ through Kickstarter.com. The album’s tracklisting, cover art, and numerous, unique packages are available directly from the band now at this location. 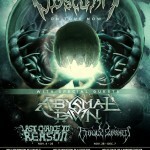 Additionally, OBSCURA recently kicked-off their first North American headline tour in support of their latest album Omnivium. 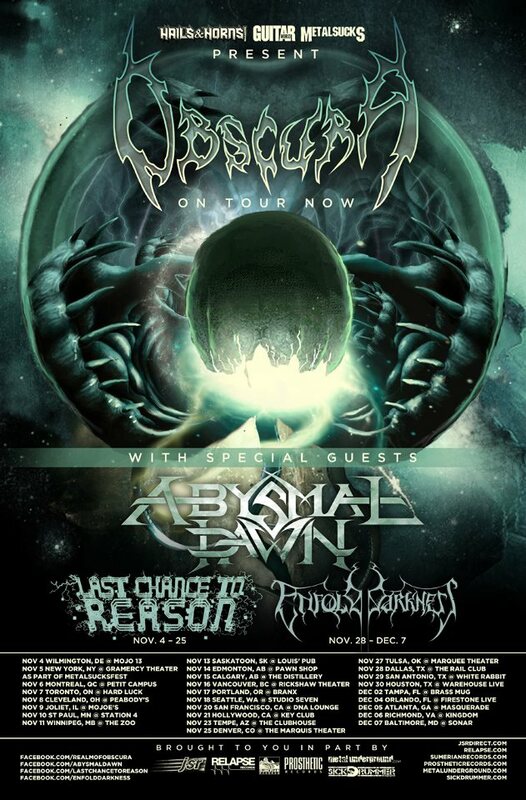 The tour began on Nov. 4 in Wilmington, Delaware and run through Dec. 7 with support from label-mates ABYSMAL DAWN, LAST CHANCE TO REASON (select dates) and ENFOLD DARKNESS (select dates). A listing of tour dates is included below.